We visited this site on May 22, 2013. It is one of the many localities features on the The UK Fossils Network website. 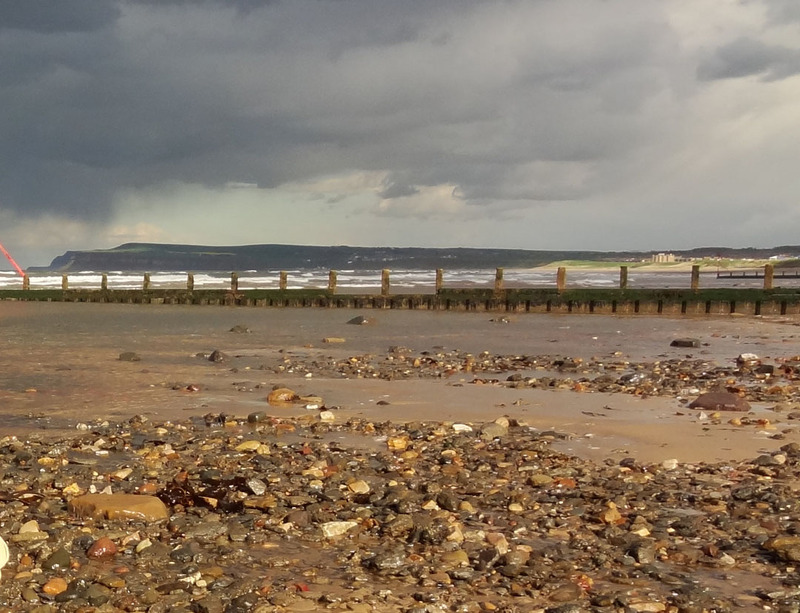 The Redcar site is on the coast, north Marske on the Sea. Parking along the esplanade is free. We came here looking for the small pyritized ammonites that are known to be found in the rubble on the Redcar end of the beach. Access to the beach is a short clamber down the dunes. No tools are required. 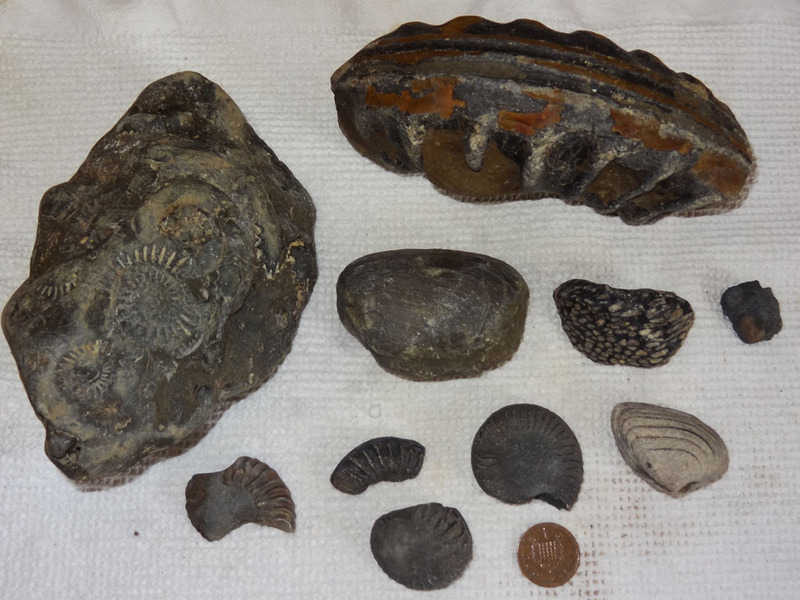 Fossils are found in the rubble piles all along the beach from Redcar to Marske on the Sea. We did find a couple of the small pyritized ammonites. 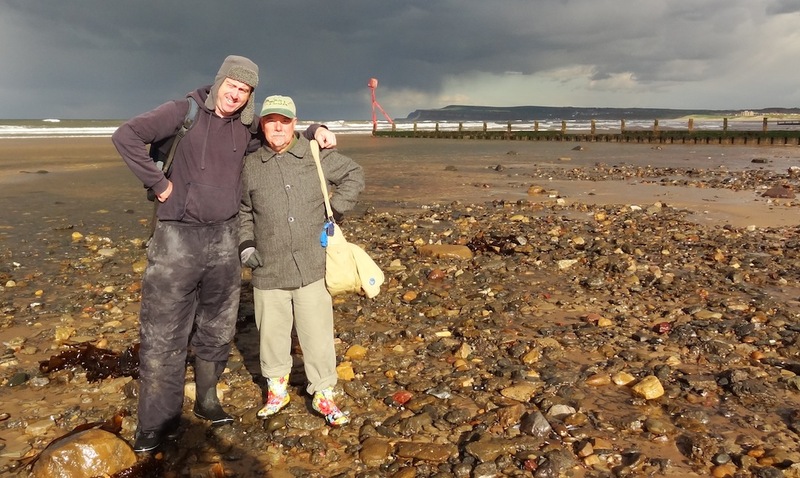 By pure accident, we met up with a fellow member of the UK Fossil Network at Redcar.